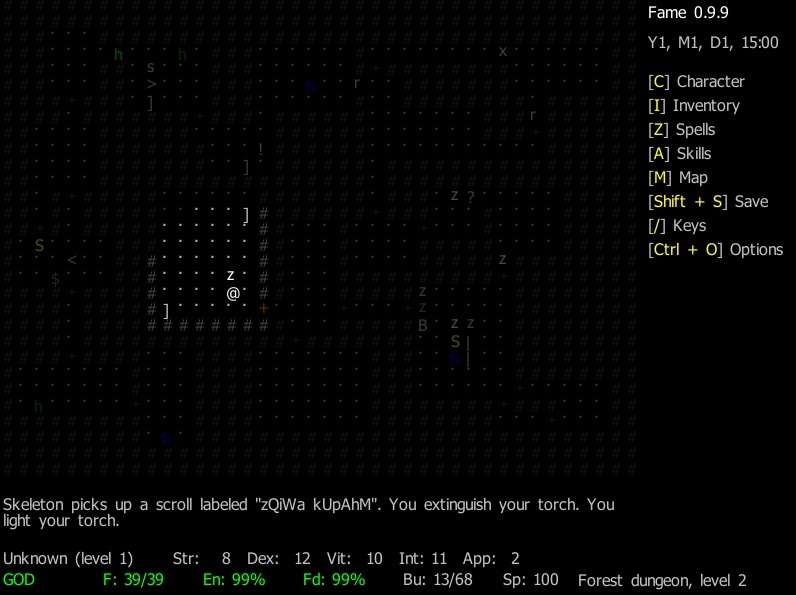 Fame (formerly known as Untitled) is a classical, fantasy-themed, plot-oriented roguelike based on 32×32 graphical tiles (ASCII mode also implemented). Although the game is currently fully playable, the storyline is far from being completed, because the author doesn't really want to create yet another "save the world" game! The development started in 2000 and it's still ongoing. The game is currently playable, but not completed (is any roguelike ever completed, anyway?). So far, there are 50 monster types, 66 unique NPCs, 32 common NPCs, over 330 items (including 14 artifacts and 64 special/unique items), 30 spells and 57 quests. The world consists of 2500 location units (each contains 20x15=300 grid cells) plus potentially 2500 underground location units. Each location (a town, a dungeon level etc.) typically consists of 1 to 9 location units. Most of locations are randomly generated, some are partially or completely predefined. 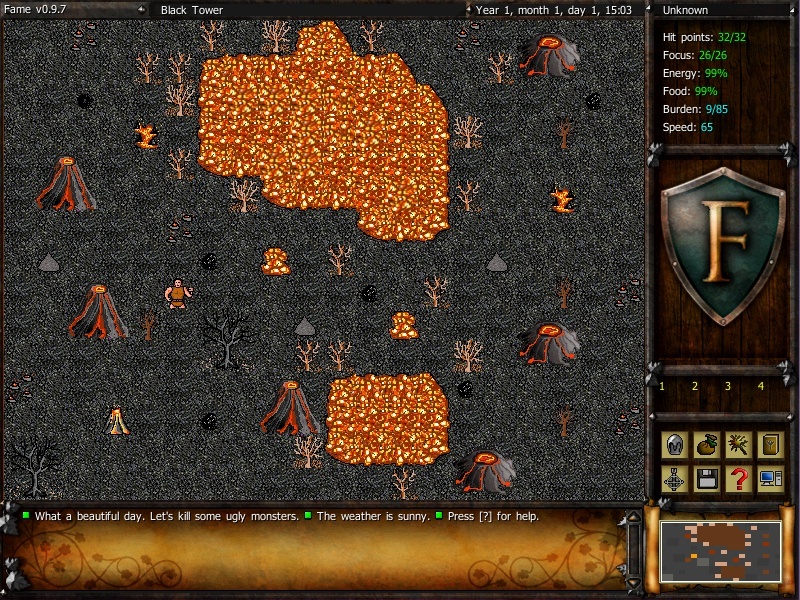 There are 2 bigger cities, several villages, 12 dungeons (including the Random Dungeon with 40 levels of increasing difficulty, re-generated every time the player visits a level). Additionally, several settlements are generated at random regions in the world. This page has been accessed 98,076 times.